Tropicana Pure Premium, not from concentrate, 100 percent Florida orange juice – calcium fortified – a newly available kosher for Passover product this year, moves on the new, high-speed packaging line at Tropicana’s facility in Bradenton, Fla., the largest U.S.-owned citrus processing plants in the United States. For Tropicana Products Inc., a division of PepsiCo, kosher for Passover production has a bit of a back-to-the future feeling – even though Tropicana founder Anthony T. Rossi wasn’t Jewish. Maybe that’s because Rossi, an Italian immigrant, founded Tropicana in Florida in 1947, with a focus on bringing high quality, not-from-concentrate, 100 percent orange juice to breakfast tables nationwide, starting with the Northeast. Rossi brought to his work a strong commitment to food safety and quality control; and an enduring personal religious commitment. When Tropicana began producing the country’s most popular orange juice, Tropicana Pure Premium not-from-concentrate, under kosher for Passover certification, more than 20 years ago, it was a business decision that was consistent with its founder’s long-time approach. It also built on the company’s established track record for manufacturing Tropicana Pure Premium orange juice under a pareve designation and the supervision of OK Kosher Certification (OK), year around. Today, after working closely with the OK over the years, Tropicana’s kosher for Passover production has expanded both in the markets it ships to, as well as in the number of kosher for Passover products that Tropicana offers U.S. consumers. For 2013, Tropicana, a PepsiCo brand, is producing 14 distinct kosher for Passover products, or SKUs (stock-keeping units) – almost triple the five kosher for Passover SKUs that it produced just a year earlier. While kosher for Passover Tropicana Pure Premium orange juice was originally only distributed in the Northeast, Tropicana now distributes kosher for Passover products nationally. Tropicana’s new 2013 kosher for Passover offerings include Tropicana Pure Premium with Calcium; Tropicana Pure Premium with different levels of pulp; packaging sized from the flagship 59 oz. size up to 89 ounces; and kosher for Passover products in recyclable PET packaging. Graphics on the 59 oz. carton and on the PET 59 oz., 64 oz. and 89 oz. packaging will reflect the kosher for Passover nature of the products. For Passover, every kosher home is scrubbed clean and sparkles like new. This is what we do at Tropicana, as well. “For Passover, every kosher home is scrubbed clean and sparkles like new. This is what we do at Tropicana, as well. There is new packaging that is only used for Passover, newly cleaned machines and fresh bins for oranges. This is an expensive undertaking, but the cost is not passed on to the customer. At Tropicana, this is their way of giving back to the kosher consumer – providing premium kosher for Passover orange juice, produced under the highest standards, at no additional cost,” said OK Senior Rabbinic Coordinator, Rabbi Dovid A. Steigman. While Tropicana does not release current production details for competitive reasons, the company disclosed that 2009 kosher for Passover production at the Bradenton facility alone accounted for approximately 8.6 million cartons, 1.1 million cases, and 4.4 million gallons of orange juice. Tropicana also produces kosher for Passover production at its nearby Fort Pierce facility with both plants producing around the clock to meet increasing consumer demand. “Tropicana has been making delicious orange juice for more than 60 years – and we’re really proud to bring consumers fresh tasting, high-quality 100 percent pure Florida orange juice all year long. Providing kosher juices for Passover is just another way that Tropicana tries to provide for our consumers’ needs,” said Mike Haycock, Tropicana vice president of operations. A lot of work takes place before the production and packaging lines are cleaned and koshered and production begins. 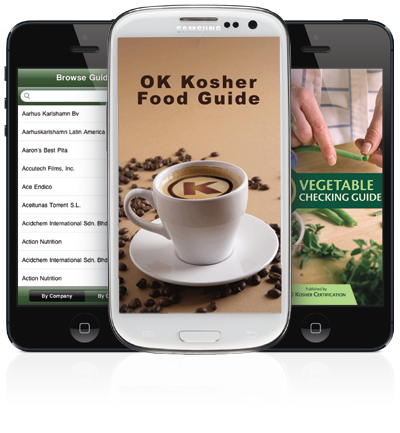 Special requirements for kosher production include an annual meeting, as well as quarterly inspections by the OK to ensure compliance with all requirements for manufacturing kosher products. These visits include an inspection of the facility, segregated storage of kosher material components, kosher ingredients, inspection of the packaging lines and a review of sanitation requirements, or kosherization, prior to manufacturing kosher products. 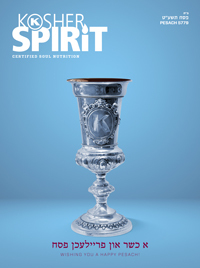 Kosher for Passover production, includes its own strict requirements for material components and kosher ingredients. All packaging components must have special Hebrew markings to designate them for Passover production and all ingredients must be produced under rabbinical supervision and certified kosher for Passover prior to use. “Tropicana’s Bradenton facility is the largest U.S.-owned, citrus-processing plant in the country and everyone here is aware of our year-round kosher certification and our kosher for Passover certification, and has a part in making sure these responsibilities are fulfilled,” said Malcolm Cofer, a member of Tropicana’s quality assurance team, who manages kosher and kosher for Passover manufacturing at the Bradenton facility. During the annual meeting, an OK rabbi also reviews Tropicana’s purchasing, receiving, and production processes. He also discusses ingredient and product submittal processes, and confirms that the data on the OK system correctly reflects Tropicana’s data. For its part, Tropicana ensures that plant personnel in those departments are available for explanations and questions from the rabbi, if needed. 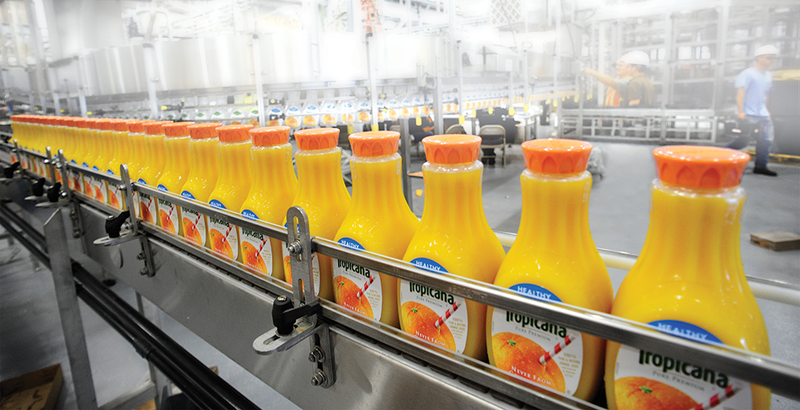 To facilitate this meeting, Tropicana also has documentation available for a range of production functions including receiving, tracking of production and cleaning procedures. As part of the annual meeting, Tropicana also comes prepared to compare its list of all certified kosher products manufactured against the list of products that the rabbi provides. In addition to the very thorough training that anyone at the Bradenton facility gets based on what their job is, Tropicana managers and hourly employees also get additional guidance on kosher and kosher for Passover production, explained Lillian Elliott, who heads up the Tropicana’s quality assurance program at Bradenton. Just as there are government inspectors on the premises testing for quality every day at Tropicana’s production facilities, an OK rabbi conducts frequent, unannounced random inspections – both day and night – during kosher for Passover production. …an OK rabbi conducts frequent, unannounced random inspections – both day and night – during kosher for Passover production. Malcolm Cofer’s approach is straightforward. “It’s an honor for us to help ensure that kosher for Passover food is easily accessible because we understand how important this core practice is to the community. We do not compromise when it comes to quality or kosher standards,” said Cofer. “For our part, we make sure that we are using the right components, the right packaging and that we follow the OK’s record-keeping and other procedures to the letter because we care about this work and doing it right. “The OK rabbi is great to work with. He conducts regular and spot inspections, as well as audits to make sure that we are following the kosherization procedures precisely. We have an excellent working relationship. If there are any questions or concerns, we discuss them in a very direct and candid way,” said Cofer. Rabbi Steigman, in turn, has high praise for both Cofer and Tropicana’s commitment to proper kosher production, both year-round and for Passover. “Malcolm Cofer and his team are a real asset to Tropicana and its kosher program. While Cofer is the lead, there is an entire team of passionate workers at Tropicana who are committed to kosher and the importance of kosher protocols,” said Steigman.